There are no limits for your own creativity. 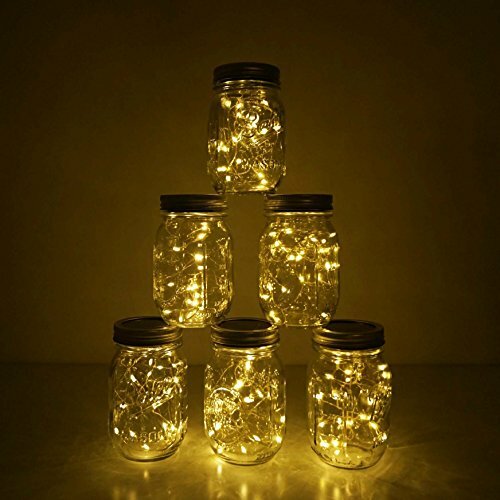 DIY a super outstanding crafts - You can shape the copper wire lights as you like and fill the mason jars with sand, shells, pebbles, berry springs, seasonal decoration etc. Give your home or event an impressive and individual look. 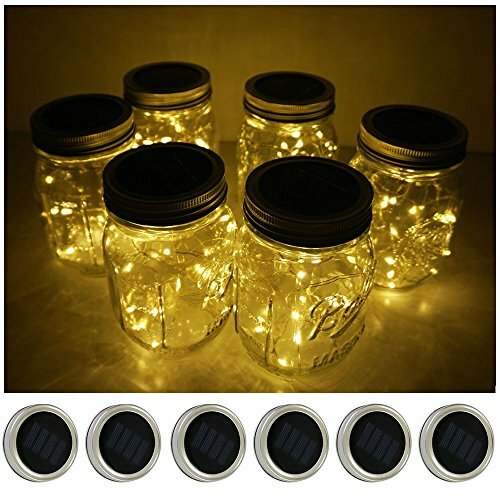 - Creative and innovative style of the Mason Jar warm white LED lights will lighten up your home into a paradise of lights. 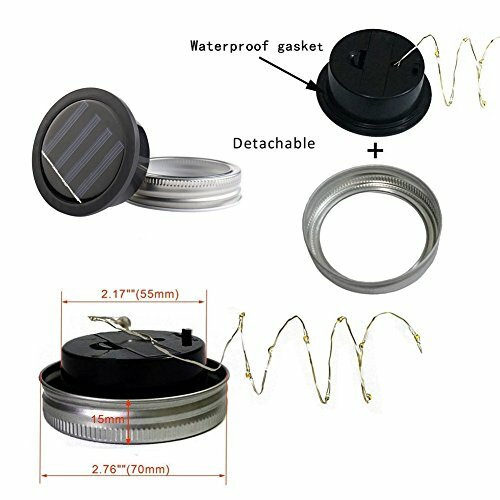 - Particularly suitable for garden lighting or winter garden lighting. - Easily be placed on your terrace or balcony or be used as table decoration. 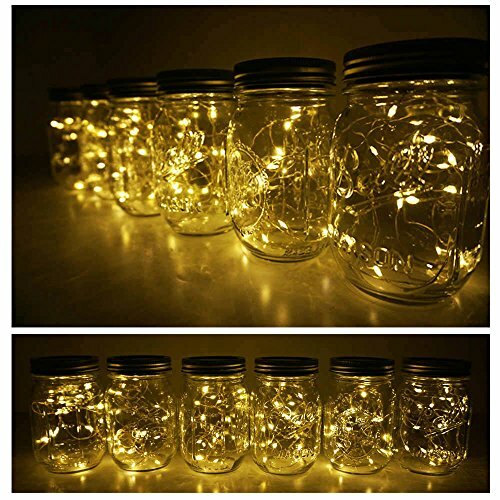 You can individually decorate your Mason Jar with sand, pebbles, shells or pearls. - Come with a light sensor, which automatically turns on as soon as it gets dark outside and automatically turns off during daylight. 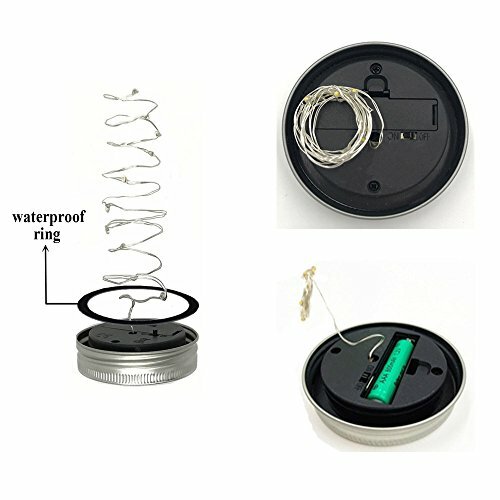 - Energy saving and solar charging, exactly eco-friendly. - Perfect for your garden, balcony, terrace, entrance, pavillon, pool or pond. 1.Please keep the switch on, when you put the solar panel under the sunlight to get charged. 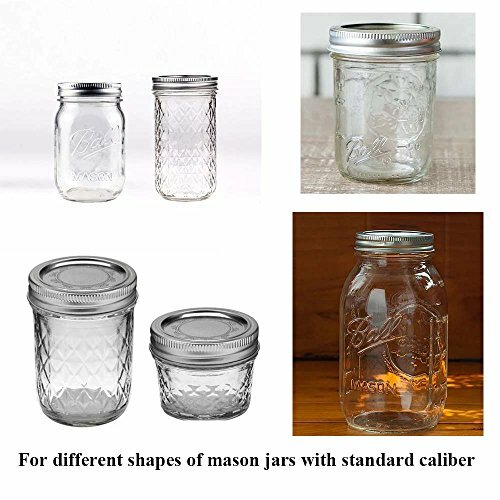 2.Please tear the protective films off before you install the mason jar lights into the mason jar lids. 3.Please keep the surface of solar panels clean, because the dust or something else will affect the efficient of charging. If you have any questions about this product by Decem, contact us by completing and submitting the form below. If you are looking for a specif part number, please include it with your message.